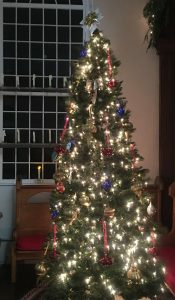 Bring your voice and sing along to favorite sacred and secular holiday music with local musicians Kirsten Becker, piano; Angela Biggs, Soprano; and Melissa Richmond, flute. From mangers and wise men, to nutcrackers and dancing reindeer this will be an event to remember. Admission is by donation, we ask you to consider a donation in support of our local musicians and youth.